The DP300 fire retardant snap fastener system is entirely made from high performance-plastic material and is perfect for protective workwear. 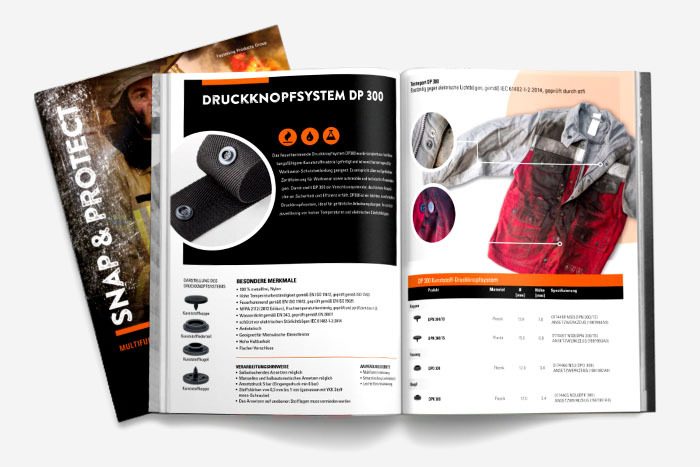 It is manufactured to be compatible with all major certifications regarding Workwear, Automotive and Technical Applications ensuring a strong reputation for safety and an efficient attaching system. The DP300 is a lightweight, comfortable snap fastener which has been designed to be worn in dangerous working environments and provides protection against high temperatures and electric fault arcs.